Well, the newbs are coming out, again. Not to worry, the industry can always use new blood. But I do find the questions and the simplistic pontification tedious and fatiguing. 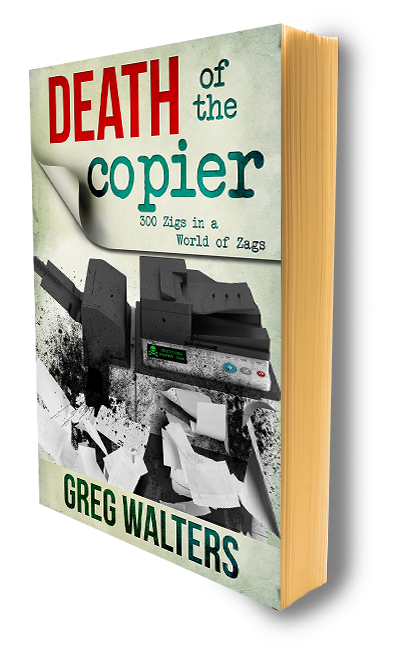 "I sold copiers and printers for a while. I recently got into MPS. No longer am I wasting time on the same accounts. What tips are out there to be a successful MPS professional. How do we get people excited about MPS???" Forget EVERYTHING your copier training ever taught you. Everything. Confirm that your executives and owners understand the REAL MPS by never hearing anyone tell you things like "the hardware sales will come...let's capture the clicks...increase the share of wallet...own the network...own the fleet..."
Roll your eyes, every, single time some goofy, shallow, know nothing manager asks, "how's your funnel looking...what you closing this month?